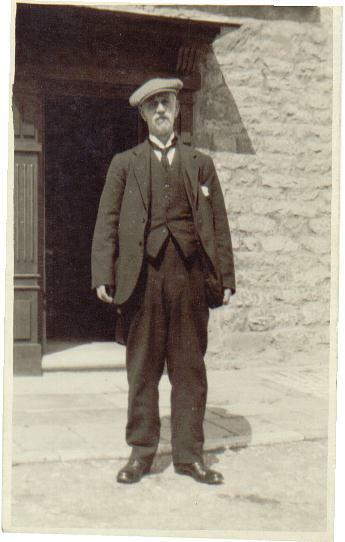 My Great Grandfather, William Marple b 7 Sep 1854 The Dale Wirksworth, to George and Sarah Marple (nee Wardman ). George was a miner. William married Mary Sheldon (born 3 June 1855, Middleton, to Samuel and Christiana, nee Wilson, Sheldon ) 27 Oct 1879 at Christ Church in the Parish of Bradford & Beswick, Lancashire. From Manchester the family moved to York where William died 8 Nov.1943, aged 89. He had been a railway machinist. In the Old Photograph section No.100 there is a picture of William Marple He married my grt Uncle Samuel Sheldon born 1828 and Christiana nee Wilsons daughter.. ...Also his twin brother Joseph married Harriet Doxey dau of John Doxey Middleton,,,The Sheldon children of this family were the offspring of Joseph and Elizabeth Sheldon nee Sheldon Their other two were Martha Sheldon marr Joseph Walker My grt grandparents and Samuel Joseph Sheldon who marr Jane Longden...Joseph and Elizabeth had 13 children over 32 years some being twins, one set of which died in infancy.... I have recently had contact with a lady from Nabraska U/S.A. who is of my kin..our joint relative was James Flint who married Charllote Trollope from Heckington Sleaford Lincolnshire in 1868 She is in some way related to the Trollope family who were authors so I am informed by Laura Petersen ..James and Charlotte emigrated to U.S. on marriage...also I have had contact with another lady in America who is related to my Flint family at Uttoxetor..All this contact is thanks to your Contributors Pedigree page. So please accept my thank you once more.